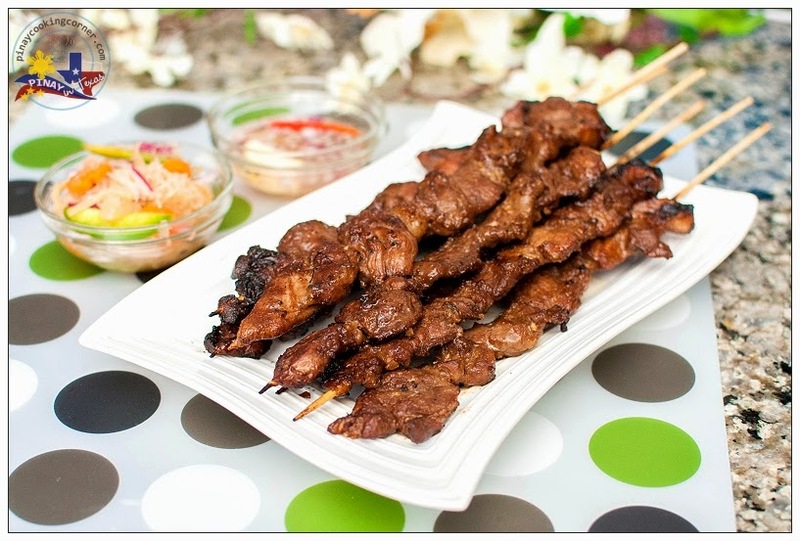 Filipino barbecue is made of thinly sliced pork which is soaked overnight in a special marinade and then skewered on a bamboo stick and grilled over charcoal while basting. 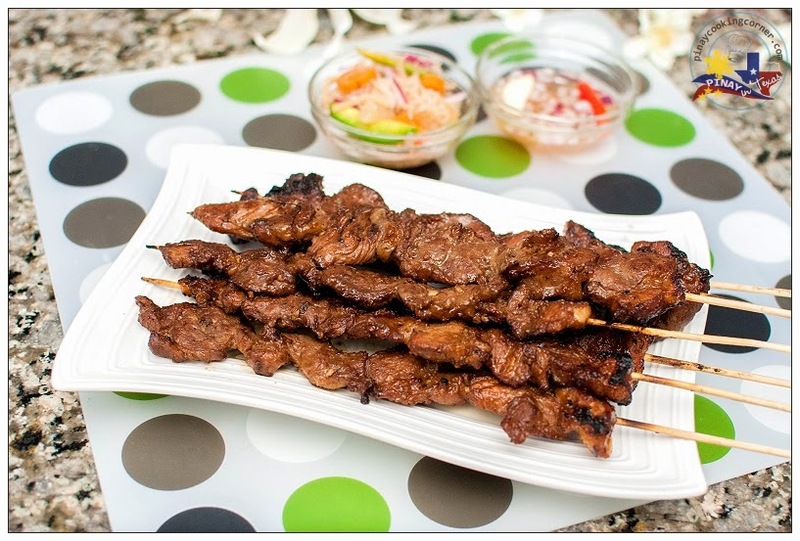 Though a little time consuming to prepare, the wait is worth it, and you won't regret making this Filipino favorite! 1. Slice pork into 1/2" x 1" x 2.5" pieces. Set aside. 2. 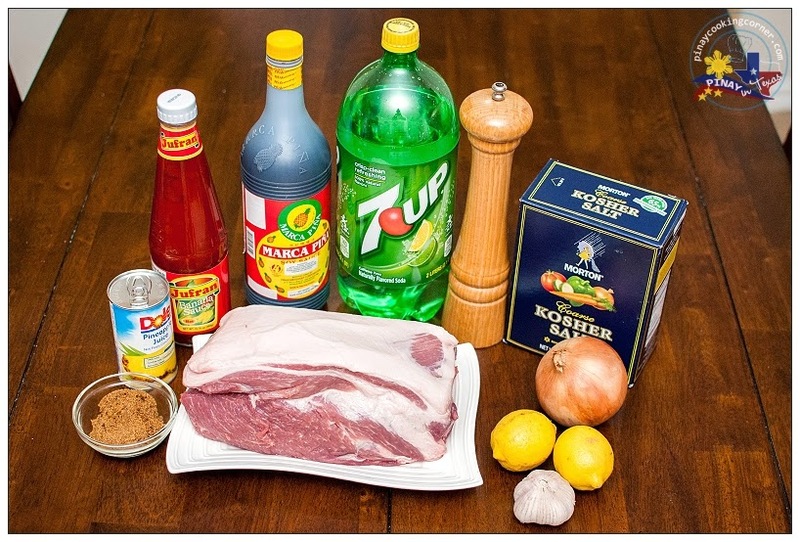 In a big bowl, combine all the ingredients (except pork and oil) to make your marinade. Add in the strips of pork. Let it marinade for a minimum of 1 hour or preferably overnight in the refrigerator. 3. 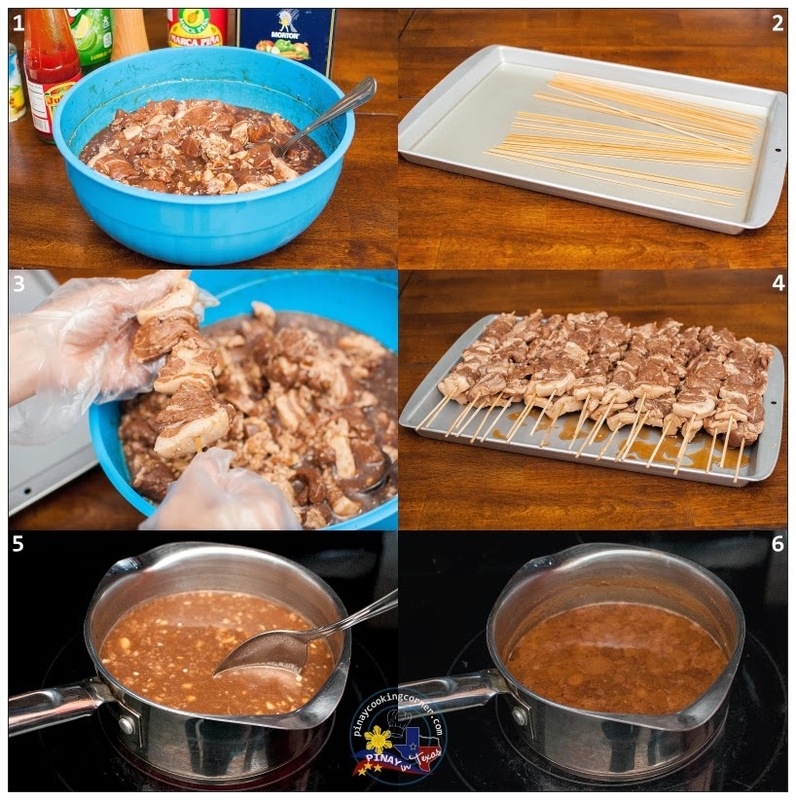 Soak the skewers in water for at least 30 minutes before grilling. This will help prevent them from completely burning up on the grill. Put 4-5 pcs. of meat per skewer. Set aside to let the excess marinade to drip. 4. Meanwhile, boil the marinade until it's reduced to half. Transfer to a small bowl and mix with oil. You will use this for basting. 5. 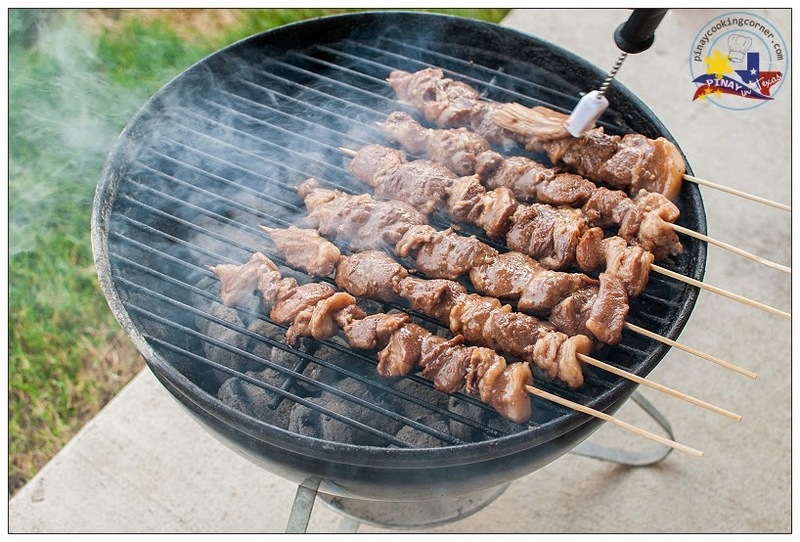 Grill the skewered meat over charcoal for about 5 minutes on each side. Baste both sides to give it some shine and color. 6. Serve with steamed rice and atsara or dipping sauce (which is vinegar with crushed garlic, minced onions, chili, a little fish sauce and sugar). Been looking for the perfect Fil BBQ recipe! Guess I've finally found it! Thanks Tina! Just looking at it makes me drool! Missing Filipino BBQ a lot! Shld try this! I've used your marinade a few times already. Everyone loves it! I marinade upto 2 days though. Makes it very tender. Thank you for the recipe! !